KOOKAÏ is a name synonymous to fashion and is a well-known brand across runways around the world from the likes of Milan, Paris and New York. It is one of Australia’s most iconic and leading fashion labels. The success of this brand has been largely attributed to the entrepreneurial expertise of Rob Cromb. Rob Cromb is one of nine speakers at this year’s FIA Congress jointly sponsored by Vodafone and Westpac that will be held on the 18 – 19 May 2018 at the Shangri-La’s Fijian Resort and Spa. “Over the years, we have heard many inspirational success stories shared during Congress ”, said FIA President Finau Nagera. Ms Nagera added that although Rob is a Melbourne- based entrepreneur he spent much of his childhood in Bua, Vanua Levu before moving to Melbourne, Australia. He started with a single retail shop in Chapel Street, Melbourne and now owns almost 40 retail boutiques across Australia, New Zealand and Europe. 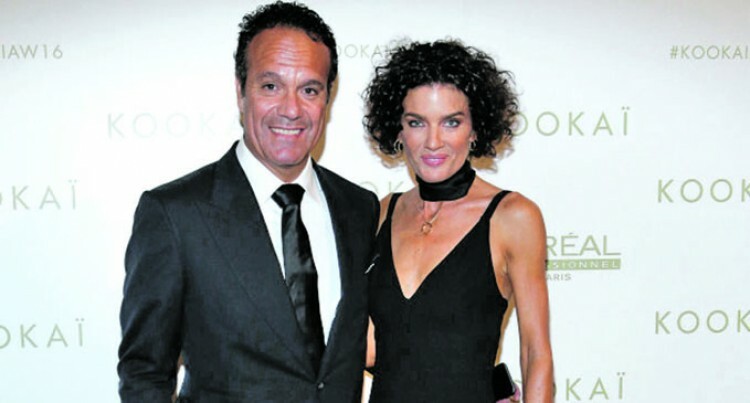 Rob’s journey began over 25 years ago when he and his then wife and business partner Danielle Vagner (a leading model in the 80s) took a trip to Paris and by chance met with one of the founders of KOOKAÏ Paris Philippe de Hesdin. KOOKAÏ was already an established brand in Europe and Rob was inspired to do the same in the Australian market. It was in 1992 when the Parisian label was introduced into the lives and wardrobes of Australian women. KOOKAÏ was one of the first Australian fashion retailers to adopt a vertically integrated model, designing and sourcing its own product to supplement orders from Paris and enable it to deliver fresh stock into stores every week. The majority of the KOOKAÏ collection is produced out of its own manufacturing facilities in Fiji and Sri Lanka. The rapid growth of KOOKAÏ’s operations in Australia and New Zealand presented an opportunity in mid 2017 for Rob and Danielle to pursue their long-held dream of purchasing the worldwide KOOKAÏ brand. Almost overnight the business expanded to include a second head office in Paris, over 200 retail outlets throughout Europe and distributors across most corners of the globe. Rob’s vision moving forward is to lead the KOOKAÏ teams in both hemispheres towards creating one unified brand that stays true to its origins while continuing to push fashion’s boundaries. “Rob Cromb also started KOOKAÏ’s charity called Katalyst Foundation where assistance is provided for building roads, schools, and medical care to specific communities in Fiji. “FIA believes that this is a professional journey that our delegates need to hear. The Katalyst Foundation is an endeavor closest to Rob’s heart where he has started a network of businesses in Fiji: each aimed at providing training and employment. During a recent interview with Australian Financial Review Rob attributed the success of KOOKAÏ to the staff and plenty elbow grease. “But to be honest it’s been a lot of hard work and blood sweat and tears”, said Rob Cromb, Managing Director KOOKAÏ. As the strategic head of KOOKAÏ Rob drives the direction of the brand and on any one day could be doing anything from hand sketching a new design to making decisions on boutique locations and financial statements. He shares his time between running the KOOKAÏ business in Australia, KOOKAÏ’s manufacturing facilities in Fiji and his ever-expanding philanthropic endeavours.